Importing XML(JSON, Excel, SQL or custom Data Source) to a nopCommerce table can be done in three easy steps. First, navigate to the System => Sync – Manage Mapping and click “Add new” button. 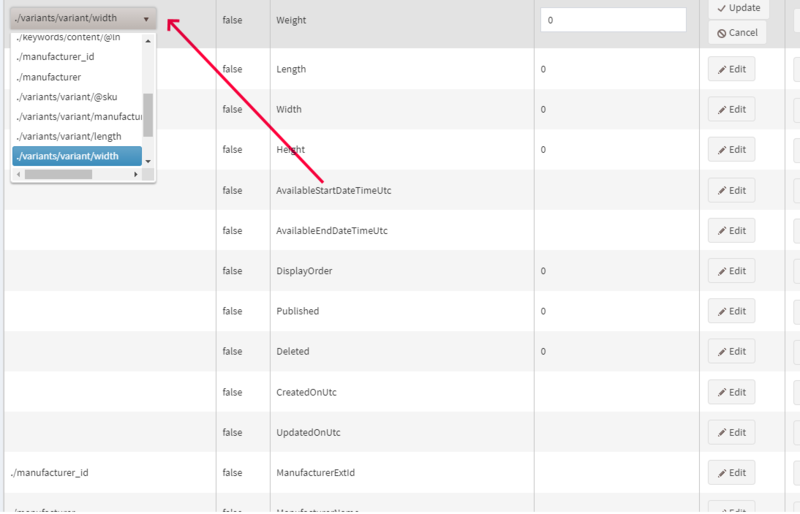 Next, select Data Source type and specify Data Source settings, nopCommerce entity and with what frequency it runs. Finally, click Save and specify mapping to the specific nopCommerce entity. 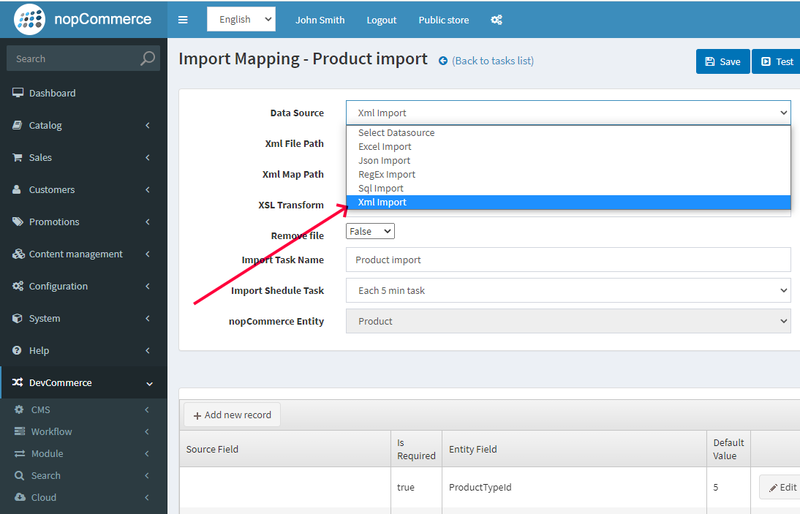 Select and map import Data Source headers to any nopCommerce field the Data Source to nopCommerce field, ensuring that the right information is quickly and accurately inserted in the right place. Sync plugin saves the column mapping rule and create import task to import future XML(JSON or custom Data Source). Create and schedule an import task to automatically import spreadsheets into any nopCommerce tables using any valid XML(JSON, Excel, SQL or custom Data Source) stored on a local file system or remote URL. 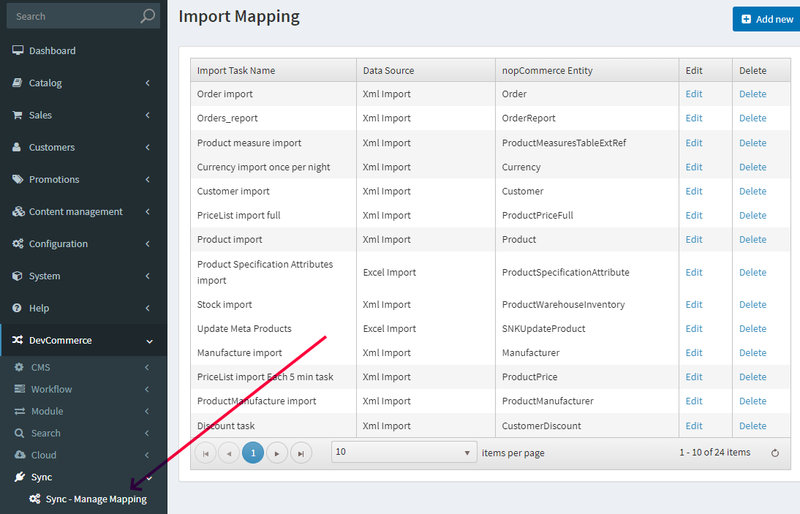 Sync plugin provides detailed error messages when errors occur during the import operation. This helps you to quickly locate and review errors and troubleshoot importing problem. 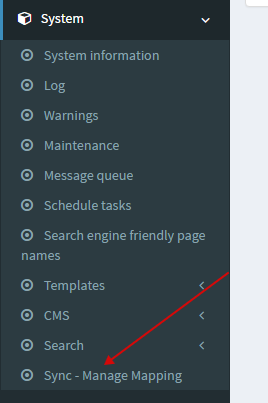 Integration with CMS plugin. Added ability to import CMS entity. Integration with Search plugin. Added ability to re-index imported entities. Added about 20 DTOs to import different nopCommerce entities. It cover such scenarios like price, stock, product, product atts, spec. atts, category, manufacture, currency, order and so on import. Added child tasks to import a lot of DTO from one DataSource(file). Added Test methods to see output regex and xPath patterns.